Just 8 miles east of Zanesville, OH along I-70 between exits 160 and 164. Beside Zanesville Pottery & ABC Design. Plenty of parking with antique stores within walking distance. 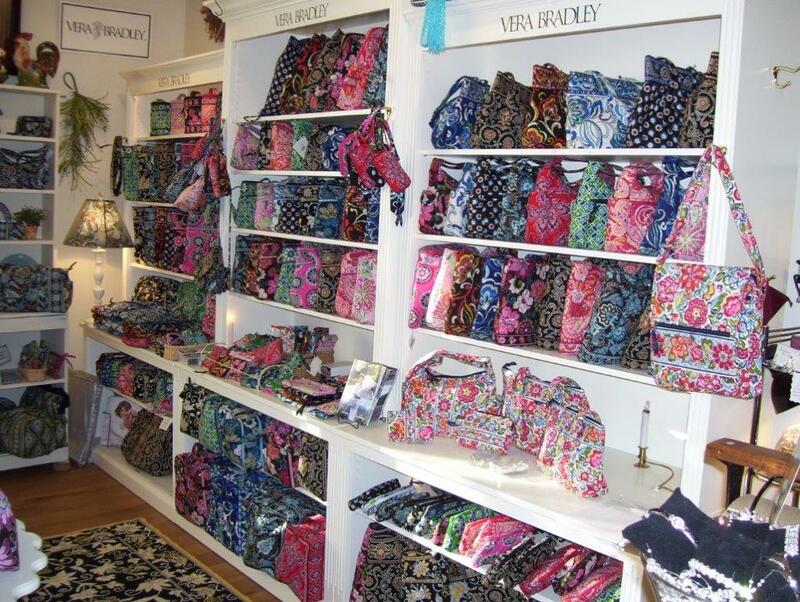 Located in the quaint White Pillars Village Shops, this shop features Vera Bradley handbags, ladies clothing and fashion accessories, jewelry, Heritage Lace, inspirational gifts & home decor, Lifetime Candles, Camille Beckman & Michel Designs lotions & soaps. Open Thurs., Fri., Sat., and Monday 10am -5pm. Starting spring hours on March 1st. Open Mon.-Sat. 10 am to 5 pm. Open selected Sundays only. Call for details on Sunday hours.